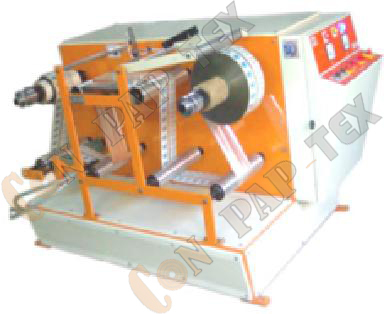 Winder Rewinder for Inkjet Printer, Thermal Printer, Industrial Inkjet Printer for printing mfg. date, expiry date, batch no., sr. no with using ink- jet printer. Salvage rewinding, as correcting badly wounded reels for inspection and doctoring operation.